Karisma Kapoor with her kids Kiaan and Samiera in Mumbai. It's 2018 but you wouldn't know it from a post shared by Karisma Kapoor who has invited ridicule by expressing astonishment over her daughter's knowledge of football. 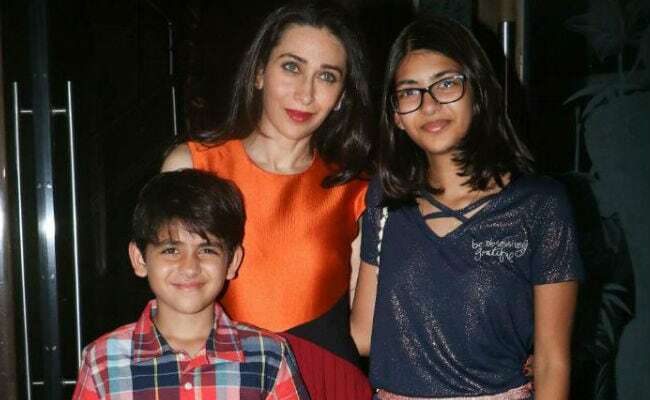 Karisma revealed in an Instagram post that her own knowledge of the game was vastly improved by son Kiaan, 8, and 'surprisingly even' her daughter, 13-year-old Samiera. She did not appear to be surprised that her son was a football fan and her post was blithely oblivious of having erred on the wrong side of sexism - there's no reason why Samiera's interest in football should be surprising, even if it is sudden. The Internet was quick to school Karisma Kapoor for posting a picture from last night's France-Croatia final with the caption: "I have come to know you all through my son and surprisingly even my daughter and now I am a football fan." One Instagram user wrote: "'Surprisingly even my daughter.' LOL! When educated class talks like this." Another Instagram user added: "Girls also play football... Don't be surprised if you or your sister did not." There are several other such comments. 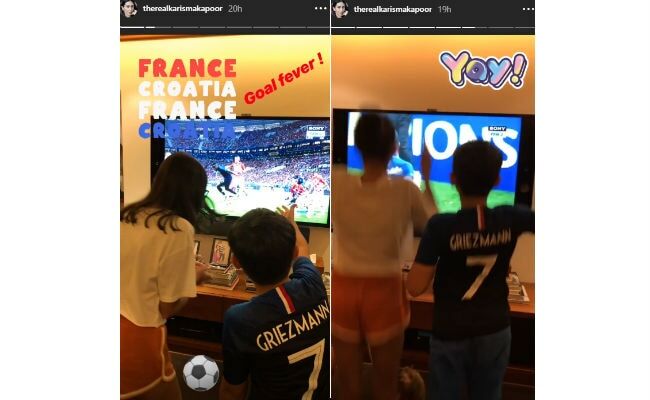 Karisma had shared several photos on her Instagram story, which revealed how enthusiastic Kiaan and Samiera were during the match - they were rooting for France. Football frenzy runs in the Kapoor family - perhaps Karisma could do with a reminder that her cousin Ranbir is an avid footballer. Ranbir plays charity matches regularly with a team of fellow celebrities, the All Stars Football Club, and also co-owns the Indian Super League team Mumbai City FC. Karisma Kapoor is currently in London, where she has been vacationing with her children for over a month now. Star of films such as Zubeidaa, Fiza and Dil To Pagal Hai, Karisma was among the top actresses of the Nineties, breaking a Kapoor tradition which prohibited it's female members from acting. 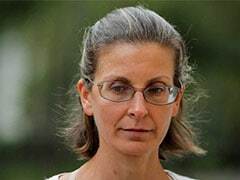 Karisma, who divorced Delhi businessman Sunjay Kapoor in 2016, was last seen in the poorly-received Dangerous Ishhq in 2012. Karisma Kapoor To Son Kiaan On His 8th Birthday: "Reach For The Stars"